We understand that our customers want to have options for holiday gifts that can be sent free of shipping charges. Everyone wants to save money and if you can save on shipping costs, you can spend more money on the gift! So we listened to our customers and responded by developing a line of free shipping gifts, making sure to design some Christmas gift baskets with free shipping as well. 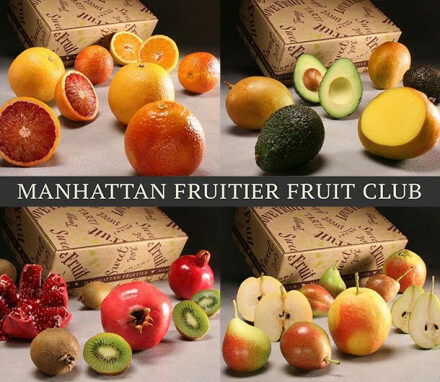 At Manhattan Fruitier, we are very conscious of the delicate and perishable nature of the fresh products that we sell. 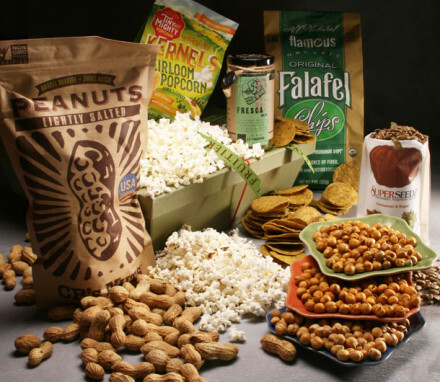 We are committed to delivering a food gift that arrives in pristine condition and without damage due to handling and heat. 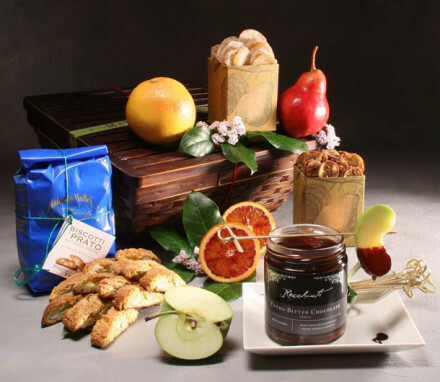 So some of the gifts we offer can only be delivered overnight (such as caviar, meats and fish, and, in the summer months, our chocolate and cheese gifts). The majority of our gifts can safely be shipped over 2 days maximum. Free shipping is generally delivered via standard ground service which can take on average 5-7 business days depending on where the gift is made and sent from. 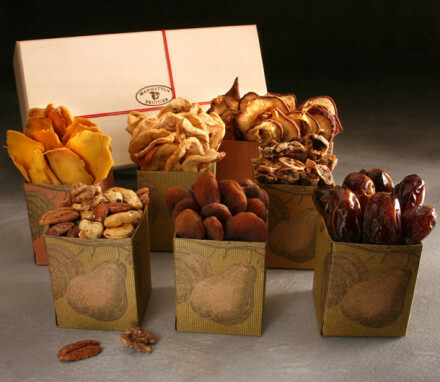 So in order to be able to offer holiday gift baskets with free shipping, we had to create hardy gifts that could withstand the rigors of traveling for days on the road. 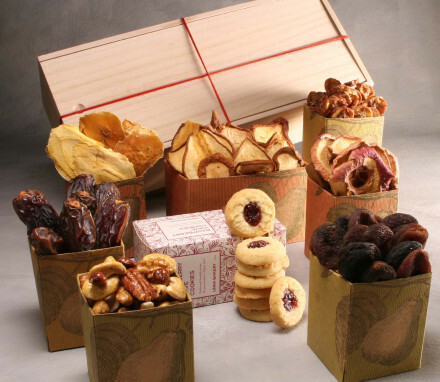 We selected dried fruits and nuts; apples, pomegranates and citrus fruits; baked goods that were not fragile; and chocolates and sweets that were robust. From this we made a delightful collection where you can find a variety of great Christmas gift baskets that can be shipped for free. Often our customers ask us why we can’t offer free shipping on all of our gifts the way other big conglomerates do. There are several reasons. First of all, the gifts other companies offer are not as delicate as ours. You don’t need to worry about sending a book by truck across the country: it’s going to get there in fine condition. 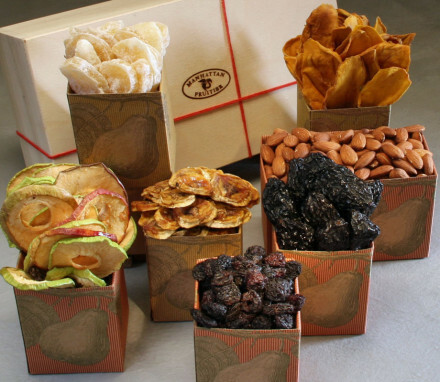 But even other fruit basket companies can send their gifts by standard ground service because the fruit they use is not as fragile or as exotic as what we choose. Secondly, other companies package their gifts in Styrofoam or in cling-tight plastic wrap that certainly works to protect the products from jiggling and bruising on the road. 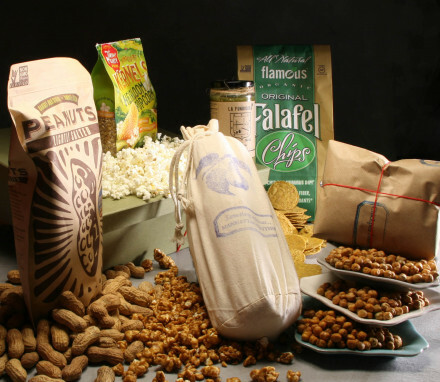 But that packaging material is not very environmentally friendly nor does it make for a beautiful presentation and these are attributes that set our gift baskets apart from the rest. Perhaps the most important reason that other companies can offer free shipping on all of their gifts is that they have many fulfillment locations across the country. They can virtually send a gift to anywhere in the nation and have it arrive within a day or two because they will be able to make that gift in a location near to its eventual destination. We are also aware that there are some states that experience warm weather even in the winter time. 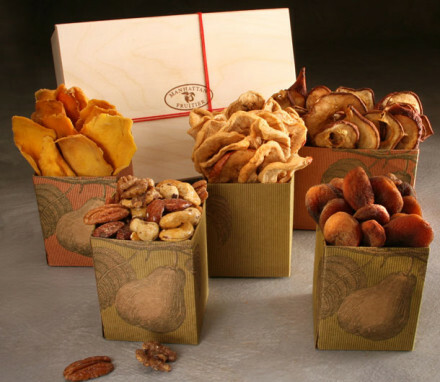 We took that factor into account during the design process and have made sure that our holiday gift baskets with free shipping can be safely sent across the country – even to California – and arrive looking fresh and pretty and appetizing!